Idris Elba is a British actor, producer and musician. He is most famous for his roles in HBO’s The Wire, the BBC crime series Luther and his portrayal of Nelson Mandela in Mandela: Long Road to Freedom. Idris Elba was born on the September 6 1972, in Hackney, north east London. His father, Winston, came from Sierra Leone before moving to the UK and working at the Ford car plant in Dagenham. His mother, Eve, was originally from Ghana and worked as a clerical assistant. Elba left school at 16 to pursue his acting dream and supported himself as a DJ, doorman and by working in a car plant before he was able to survive as a full-time actor. He is 46 years old and stands at 1.9 metres tall. Why is Idris Elba famous and what is his occupation? Idris Elba is a famous film and television actor, most well-known for his roles in the HBO series The Wire, the BBC crime drama Luther and more recently for action films such as the Avengers: Age of Ultron and the Thor film franchise. He is also a successful DJ, rapper and music producer, often going by the name of Big Driis. He has rapped on tracks for artists as diverse as Macklemore, Mumford & Sons and Nigerian rapper Phyno, as well as opening for Madonna when she was performing a concert in Berlin on her Rebel Heart Tour in November 2015. In 2013, People magazine ranked him second in their Sexiest Man Alive list. He was also included in Time Magazine‘s 2016 list of the World’s 100 Most Influential People. Elba was made an Officer of the Order of the British Empire (OBE) in 2016, too. What is Idris Elba’s net worth? Idris Elba’s net worth is estimated to be between $17million and $22million. How much does Idris Elba earn? The British star’s income is estimated to be around $7 million a year. How much does Idris Elba weigh? The star is renowned for his athletic build and he reportedly weighs just over 97 kg or 215 lbs. Where does Idris Elba live? He lives in Hackney, London, and also has houses in Los Angeles and New York. Does Idris Elba have any children, how old are his daughter and son? Idris has two children, a daughter, Isan, who is 15 and was born in 2002 to Hanne Naargord and a three-year-old son, Winston, who was born on the April 17 2014 to Naiyana Garth. Was Idris Elba in The Wire, what other TV shows has Idris Elba been in? Early in his career Elba had a number of parts in British television shows such as Family Affairs and Dangerfield, but his first big break came after he moved to New York in 2001. Following a period of working as a doorman and perfecting his American accent, he got the part of drug dealer Stringer Bell in the HBO series The Wire from 2002 to 2004. From 2010, he has had the lead role of Luther in the BBC detective series of the same name. 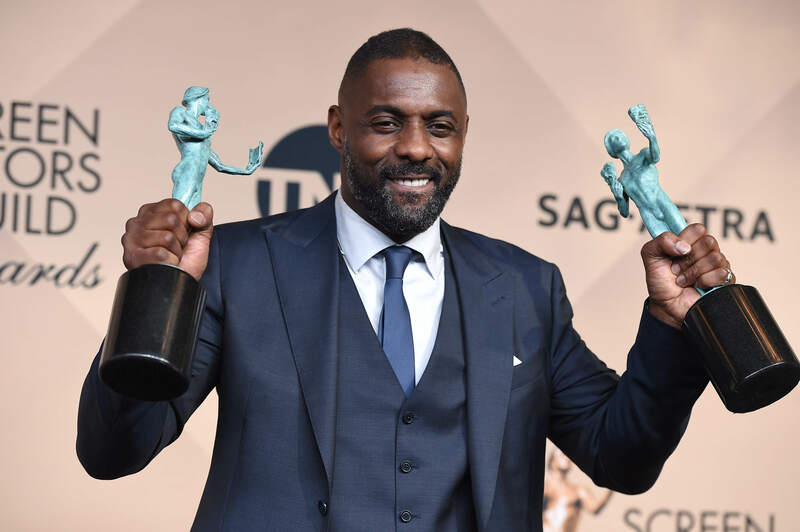 Is Idris Elba the new James Bond, did he audition for the role? Daniel Craig, the current James Bond, was the first to suggest Elba would be ideal for the role. He was rumoured to be being considered for the role, alongside Tom Hiddleston and Tom Hardy. However, since Daniel Craig has now agreed to film one more instalment of the James Bond series, speculation has died down. Is Idris Elba married, is he in a relationship, who has he dated, why did they break up? Idris Elba has had a turbulent personal life. He married make-up artist Kim Naargord in 1998, but they divorced in 2003 soon after the birth of his daughter. In 2006, Elba married property lawyer Sonya Hamlin at the Little White Wedding Chapel in Vegas, but the marriage was annulled after a few weeks. In 2013 Elba moved in with Naiyana Garth and had a son, Winston Elba, in 2014. However, they separated in 2016 after Elba was spotted on a night out with supermodel Naomi Campbell. He is currently engaged to model, and former Miss Vancouver, Sabrina Dhowre. What was Idris Elba’s first film, what films has he been in, how was he discovered as an actor? Elba’s first film role was in a French film called Belle Maman in 1999, but it wasn’t until his success in The Wire that his film career really started to take off. He is best known for his portrayal of Nelson Mandela in the 2013 film Mandela: Long Walk to Freedom. He has also starred in the Thor series of films, Star Trek Beyond and The Dark Tower.